Today, Lisa draws on her experience starting a successful business from home with three small children. She shares some inescapable home truths, as well as the benefits of working with and around your kids. 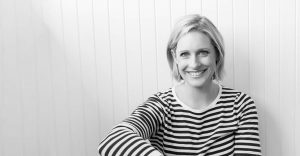 If you’re pulled between motherhood and entrepreneurship on the daily, Lisa has plenty of tips and inspiration to help you make the juggle work for you. 0:33 Lisa gives a brief history of how she came to create a successful business from home with three small children. 4:20 Lisa reflects on the big lessons her kids have helped her learn on her home-based entrepreneurial journey. 8:24 A reality check: some inescapable truths about running a business from home. 12:33 How to move out of school holiday freak out mode, enjoy your kids and keep your business running. 20:35 The combination you need to cope with emergencies and tummy bugs. 24:37 Lisa shares some of her favourite tools for helping her kids cope with having a rockstar mum who travels. 31:25 Where do you need support to feel like the rockstar you are? 35:46 The most important home truth of this episode.